Tonight I watched Nial Ferguson's third and final programme on China: Triumph and Turmoil which has been showing on Channel 4. He suggested two possible futures for China based on history. Future 1. British and American Imperial pattern. China's prosperity continues. It is fuelled by increasing foreign interests and Chinese Imperialism. The work ethics of the Chinese are exported: low wages for long working hours while the Chinese themselves become the innovators. Future 2. German early twentieth century pattern. China experiences economic decline and growth is threatened. As a result there is increased social unrest due to increased unemployment, and the west is blamed. This fuels increased nationalism and aggression and the peace of the world is threatened. It's been a fascinating series but its conclusion is based on Western historical models and I wonder if the same rules can be applied. As the first two programmes showed, China is unlike the West: for the last two thousand years it has been one large empire with a centralised power. I think China will take its own idiosyncratic way forward, and no one in the West will be able to predict or even, perhaps, understand its implications. I have a huge backlog of books that I want to read at the moment, and one that I can't wait to pick up is my friend Marly's A Death at the White Camellia Orphanage - which is out today. 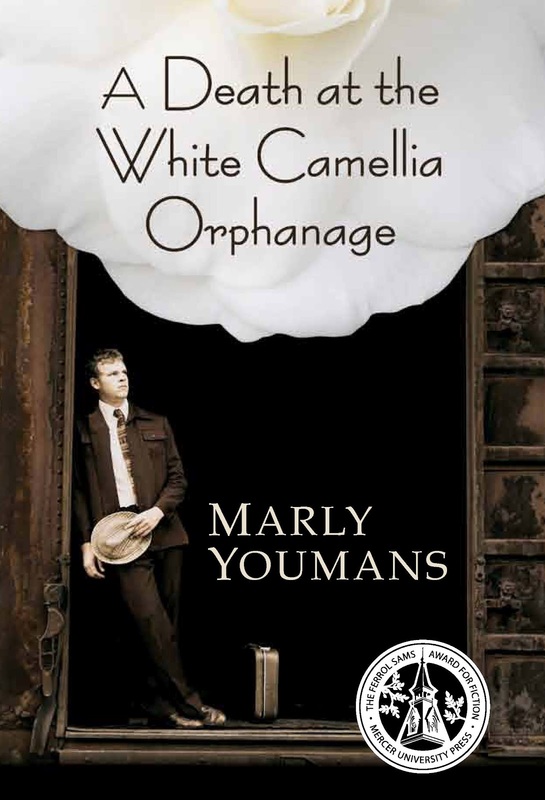 The physical space of the White Camellia Orphanage—the shack with its big porch shielded by a glossy green hedge, the rickety outbuildings, the flimsy structure over the well, the fields of cotton and tobacco—is directly based on the 40-acre farm where my paternal grandparents were sharecroppers and where my father (later to be a teenage tail gunner in World War II and then a student and eventually a Professor of Analytical Chemistry) lived for most of his childhood. The farm is now owned by some great agri-business. The last time I saw it, the house had been burned by vandals, and only one outbuilding remained, close to a stand of Chinese tallow trees. The farm was “in Lexsy,” but Lexsy, like so many little places of the past, has vanished. Now the nearest town would be Swainsboro, Georgia. The farm was about a 20-mile drive from my mother’s family home in Collins, and about 90 miles from Savannah, where I often visited my aunt, a widow. When the story begins, Pip and his little brother Otto have lived there for a year, along with a group of children (some orphans, some with a parent unable to care for them), under the care of the Hooks family—that is, Mr. Jimmie and Miss Versie. The children go to school (barring those times when workers are needed in greater numbers) and labor in the fields and play. The orphanage appears more like a foster home today—one without enough income and a few too many children. On reading that I was particularly struck by the fragment 'his kind had sunk so desperate and low as to scoop up the red clay to eat' having just read about a similar practice in China during the Great Famine. The idea of eating mud, mentioned so skilfully in passing, gives the piece much power and makes me more anxious than ever to read the rest of the book. 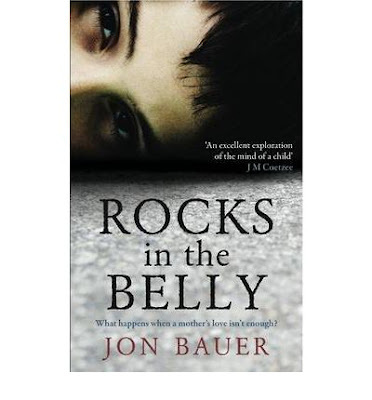 I am not surprised it won the Ferrol Sams Award for 'best book that speaks to the human condition in a Southern context'. A longer sample is here. 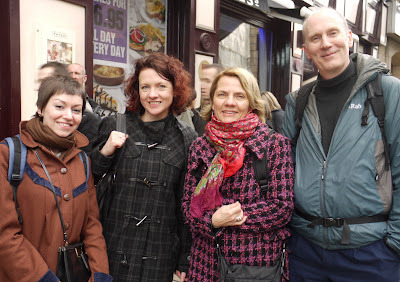 Marly has given other interviews at Dale Favier's Mole, the Artlog of Clive Hicks-Jenkins, Vicki Johnson's The Garden, Susanna Leberman's blog Shedding the Inner Dialogue, and Hannah Stephenson's The Storialist, and at Rebecca Kuder and Marja-Leena Rathje's blogs. 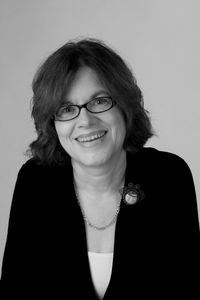 Each of them revealing very interesting facets of Marly and her writing process. Balzac and the Little Chinese Seamstress is another book I have also seen as a film. I really enjoyed the film, but I enjoyed the book more. Somehow I missed the humour in the film; perhaps it is a little too gentle and subtle, but in the book I much appreciated it. The book is set in a mountain village during the Cultural Revolution. Two boys from intellectual families are sent to be re-educated by working in the countryside. They take a cheerful and robust approach - courting the beautiful daughter of the local seamstress with readings from Western classics they've found hidden in a suitcase under the bed of another emigré. Much is made of the differences between urban and rural; not just in terms of living conditions and hygiene but also in beliefs in how the world works. For instance, it is generally accepted by everyone in the village that toothache is caused by the worms that tunnel into teeth. Judging from my reading of this era, the seemed to two completely different sorts of people in China at this time, and they had very little to do with each other. This is perhaps one reason why Chairman Mao decided on his policy of re-education - sending the sophisticated urban intellectuals to experience, at first hand, the extremely hard life of the rural population (although Gao Anhua says it was also to alleviate the urban unemployment). 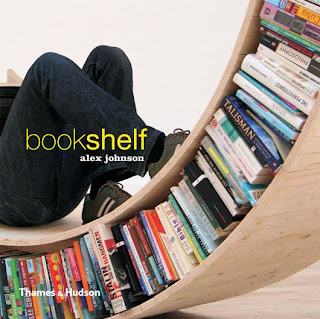 To celebrate the publication of Bookshelf, I proudly present an interview with its author, Alex Johnson. 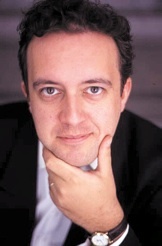 Alex is a professional blogger, journalist, author and half decent snooker player. He is part of the online team at The Independent where he also blogs daily about property issues, helps the national charity Crohn’s and Colitis UK with their online presence and edits their members’ magazine. His main blogs are Shedworking (a daily updated lifestyle guide for people who work in garden offices and other shedlike atmospheres) and Bookshelf, a collection of unusual modern bookcase designs. 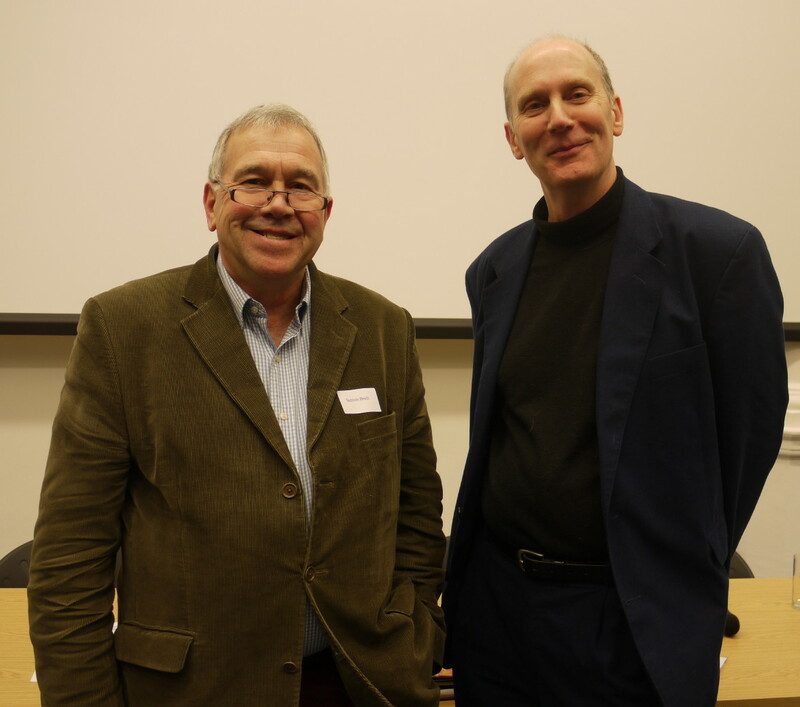 Both have been turned into successful books, Shedworking: The Alternative Workplace Revolution (Francis Lincoln, 2010) and Bookshelf (Thames & Hudson, 2012). CD. First, the most obvious question: why did you decide to write a book on bookshelves? AJ: I write about interior design a bit on Shedworking and in 2007 I noticed that there seemed to be an increasing number of clever bookshelf and bookcase designs, too many for Shedworking but enough to be worthy of an even nichier blog. Then a couple of years ago when I was talking to publishers about the Shedworking book, I thought I'd sweeten the deal for them by offering them first dibs on Bookshelf. Not a single one jumped for it but then I contacted Thames & Hudson and they were immediately red hot keen, the wise folk. Also, I love books (proper books, not the weirdy e-thingies) and the idea of writing a book about them was immensely appealing. CD: How did you find your bookshelves? Were there any in unusual places? AJ: I spend all the ding dang day on the interwebs for my jobs so largely it was a case of trawling through design sites, Google image search, etc. But in the last couple of years, readers and designers have been sending me more suggestions which is great, a crowdsourced curation for the benefit of all. I think the bookshelf shower curtain and bookshelf dress were fairly unusual but I particularly like the ones which are free open public libraries which various people have just set up to spread the good words in various spots around the world. CD: I've seen some of the bookshelves on your website and thought yes, very pretty, but how would that work... What is your favourite non-functioning bookshelf? And why. AJ: I really like the one we've chosen for the cover, Archive by David Garcia, a huge revolving one that you can walk about inside like a giant hamster's wheel. David says the books don't fall off and I believe him because he's a decent chap, but even then, you'd still need a rather substantial room for it to be able to really work properly. Why do I like it? Like the best designs, it takes the basic premise of a bookshelf and moves it on a stage. It's ingenious. CD: What do you consider to be the features of the 'ultimate bookshelf' And why? AJ: Storage is the main problem for most bookish people so it would have to address that problem, maybe with some kind of clever mechanism that allowed you to double/triple stack books but still kept their titles visible. And it would be white because I like white bookshelves. CD: Bookshelves seem to be tied to the old technology of books - but do you think there is a place for bookshelves in the virtual world? AJ: Absolutely. All the web-based reading sites use a 2D version of the bookshelf because it's a proven design that works. And once they make ebooks 3D, then you can bet your bottom peseta that there will be 3D bookshelves there too. CD: Have you come across any space-saving models? I am very interested in this because I have too many books and have had to resort to the piles on floors type of bookshelf. CD: In your research for this book did you come across any funny bookshelf stories? AJ: Not a single one. Book storage is a very serious business indeed. AJ: I used to throw snails over the back wall of our garden (not into somebody else's, it was a kind of car park). I told my then very young sons that the snails were 'going on holiday'. Later that year when I told them we were going to visit Grandpa in Spain for our holidays the eldest said: "Great, we'll get to see all those snails again." AJ: A Spaniard once asked me if I was Spanish after listening to me talk to my young children. I'm not Spanish and would never normally be taken for a native but even to have been considered for membership was very gratifying. And of course my wedding day, birth of my children, etc. AJ: We moved house when I was 12 and I went to a completely different kind of school. It had a profound (in a good way) effect on almost every part of my life. AJ: There are too many properly sad things in the world, but the film of The English Patient always makes me weepy. To the Edge of the Sky by Gao Anhua. Gao Anhua was born into a privileged family in Communist China. Her parents were both early members of the Communist party and rose through the ranks to high office. They made considerable sacrifices including the enforced abandonment of their first daughter, Pei-gen, with a widow and her son while they went East with the army liberating China from the Nationalists. When the Nationalists came to the village having heard a rumour that a Communist child was being harboured by the widow, she sent her son into hiding with the child on his back. The widow was tortured but didn't give away where her son was hiding, and after she was killed the son was forced to live rough, eventually finding Pei-gin's parents some time later. Pei-gin was damaged physically and mentally by the experience; her scalp infected for so long by disease that her hair never grew back. She also remained withdrawn, rarely joining in with the rest of the family: Angong, Anhua's other older sister, and Wei-guo her younger brother. The parents died young: the father of bone cancer and the mother of heart failure, and were subsequently designated revolutionary martyrs. This sad fact served Anhua and her siblings well. Again and again she finds friends and family who will help her, and many times a mention of her parents' reputation opens doors, and in some ways initially ensures her a relatively charmed existence. Having had to experience life in the countryside twice (which is described in great detail) she becomes determined to avoid a longer term service in the place (unlike most of her peers in the Cultural revolution) and manages to inculcate herself in the army. All goes fairly well, except for the tragic loss of friends in the Vietnam conflict, until the damaged Pei-gin betrays her by reporting her ideologically unsound letters Anhua has been unwisely sending her. Despite this, Anhua again escapes relatively unscathed by landing a job in a factory, again through contacts of her parents. She makes an unwise match, gives birth to a daughter, uses her skill and interest in English to gain better employment, becomes a widow, but then is arrested by the Chinese version of the KGB, the much feared SSB. She is imprisoned for several months on a trumped up charge of giving away state secrets before being released through the good offices of a judge. This judge then becomes her extremely generous 'big brother' giving her frequent gifts of money and other gifts until in 1993 she begins a relationship with an English pen-friend who eventually asks her to marry him, and at the end of 1994 she flies from China to London to start her new life in the land at the 'Edge of the Sky' (which is how Anhua's mother describes Great Britain when she points it out on a map of the world). 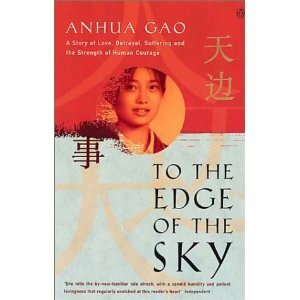 To the Edge of the Sky is rich with detail, and gives a very interesting view of the Great Leap Forward, the Cultural Revolution and the rest of the latter-half of twentieth century China from the point of view of a fairly privileged member of Communist society. Gao Anhua is obviously a gifted and highly intelligent woman, and her clear account gives much food for thought. 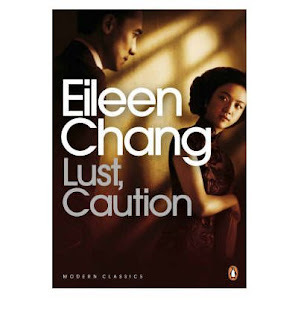 Lust, Caution by Eileen Chang. Lust, Caution is a collection of five stories by Eileen Chang set in wartime Shanghai. Although all five 'stories' are interesting, only the first tells a conventional story; the rest are 'slices of life'. The eponymous first story tells of a young spy who finds herself falling in love with the person she is supposed to be leading into a honey trap. It has been made into a film of the same name by Ang Lee. The film shows long scenes which are both sexually explicit and impressively athletic but which are far more lightly described in the story (in one place by the six words: 'And so the show went on.'). Another addition to the film that does not appear in the book is one of affecting violence where the young troop of spies inexpertly carry out a murder. The murder is premeditated and yet there is an innocence about it because the act is so clumsily undertaken. Unlike the more usual slick portrayals of murder it is horrifying because it is easier to identify with the murderers. It is interesting that the two most memorable features of the film do not really appear in the story; and yet both film and story work very well in their own ways. The basic plot is the same, and the pivotal moment conveyed with the same striking subtlety. The written story tells more about the motivations of the characters, and the film tells a little more about the spy's background, otherwise the film is a faithful rendition of the book. I found the other stories equally interesting for their accounts of various lives in Shanghai under the Japanese puppet government. Shanghai has long been different from the rest of China. For a hundred years the British, Americans and French had concessions of land which seem to be like pockets of colonial territory. It must have been a cosmopolitan place, used to the foreign devils, and used to interacting with them. Walls are thin in this crowded city of alleyways and shops, and the clocks and arguments of neighbours are a source of irritation and gossip. The concerns of the Shanghaianese in the stories that follow seem mainly social ones concerning marriage, and the price of food and other comforts of life. Traditional values blend with the modern and Eastern with Western. There is a strong sense that they are in a no-man's land waiting for this tiresome thing called war to finish so their lives can continue as before. 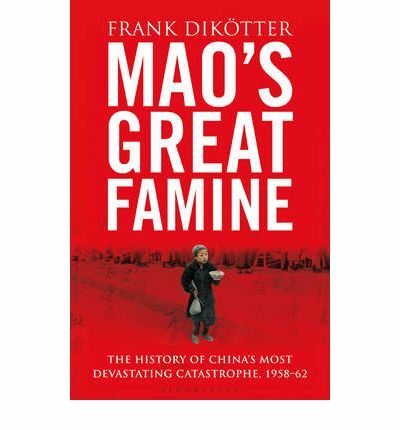 Mao's Great Famine by Frank Dikötter. I think 'masterful' is the word that comes into my mind as I try to summarise Frank Dikköter's Mao's Great Famine. The writing is excellent, but maybe it is the unbelievable horror of what happened that mesmerised me each time I picked it up. After reading Zhisui Li's The private Life of Chairman Mao, and accidentally coming across the symptoms of bipolar disorder shortly afterwards, I found certain commonalities. Mao didn't sleep. He had grandiose plans involving steel output, communes and control, and a notorious low regard for human life that shocked even the Russians. When he met opposition he became depressed and withdrawn. The rest of the time he was a charismatic dictator and only the brave or foolish dared defy him. If they did they would be manoeuvered from their position of influence. How do these men persist? Why can't everyone see that they have a tenuous grasp on reality? Is it because their vision is, in some way, attractive to those around them? Perhaps it is because, at the very start of things, he tried to establish a Utopia. He swept away the idea of ownership: from now on no one would own land, property or even cooking utensils. The state would provide everything. It would look after them from the cradle to the grave. It would feed and house each citizen and they would want for nothing. In return the people gave their labour: the men to poorly conceived and ultimately useless irrigation schemes, and the women taking the men's place in the field. Maybe if that was the sum of his vision all would have been such a disaster, but unfortunately Mao's vision was international. The grandiose element kicked in. He wanted to show the rest of the world that China was great and munificent enough to hand out aid to ideological partners: even Albania was a recipient. He promised grain in return for manufactured goods like steel mills, and once these had been promised there was the concept of 'face' to be considered making it impossible to renege. Unfortunately, Mao had relied on a series of exaggerated production figures to calculate his promises. Each local leader tried to outdo his neighbour, and these figures became inflated as they travelled up the bureaucratic chain to Beijing. They were unrealistic, and because the state procurement was based on them, the people were left with too little to eat. The cadres were obliged to ensure that the villagers contributed their share, and since they had few carrots relied instead on the stick. The stick was deprivation of the already insufficient rations and then, when people became less productive as a result of malnourishment, a horrific range of punishments familiar from my reading of the first emperor's time. The end of the book is devoted to these and how the most vulnerable in society, the young and elderly, suffered the most. People were buried alive, beaten with sticks, branded, hung, forced to swallow excrement, humiliated into committing suicide, mutilated and grew so desperate from hunger that they queued to eat white clay - which would kill them too through constipation. The last chapter in this section is on cannibalism, and by that time I felt so numbed by what I was reading that it felt reasonable. Dikköter points out that the Russians have different words for eating people (presumably after killing them for that purpose) and eating a corpse. He finishes with a discussion on figures and sources. He concludes that a likely conservative figure is 45 million deaths above normal. It took a brave man called Lui Shaoqi to make Mao see things must change. There is a picture of Lui talking to villagers in his home province of Hunan. He is white haired and looks scholarly and intelligent. Even though he was a member of the Red Army and had been through the hardships of the wars with the Nationalistic army and the Japanese, he was moved to tears with what he found happening to the villagers at home. In 1962 he spoke for three hours about the disaster of Mao's Great Leap Forward in front of 7,000 delegates. When he said that the disaster was 70% man-made there was an intake of breath. Later he told Mao 'History will judge you and me, even cannibalism will go into the books!' Thanks to the investigative work of Frank Dikötter it certainly has. I now find myself looking at the rest of Dikötter's output: for a student of the history of modern China they look like essential reads. 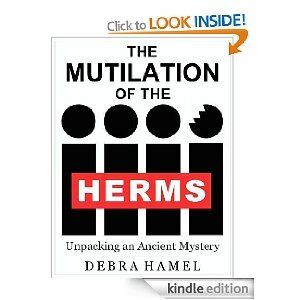 I am delighted to report that my friend Debra Hamel has a new, very short book out. 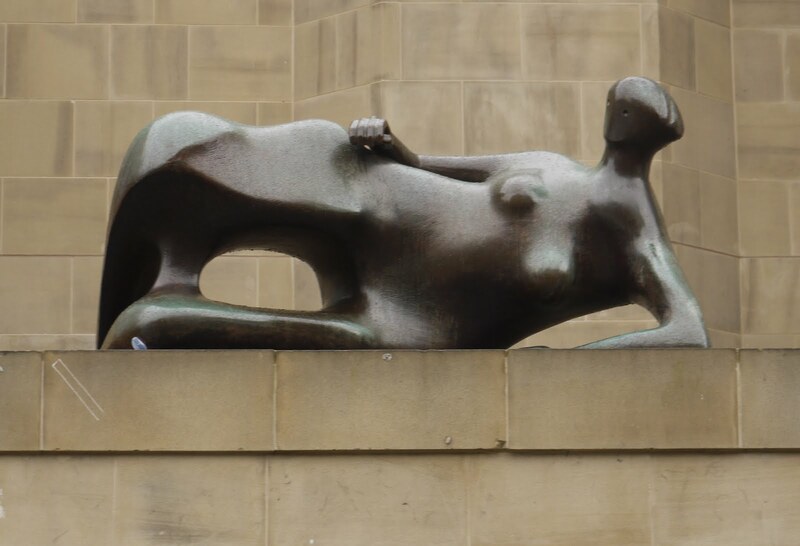 It is called The Mutilation of the Herms and in just 50 pages it describes and solves a well-known classical mystery involving the defacement of some sexually provocative statuettes. It makes fascinating reading, and it is very cheap. Every well-accessorized Kindle should have one. I've just finished The Complete Fiction of Lu Xun. It took some time: 400 densely-written pages with much to consider after each short story. The last section, 'Old Stories Retold', was quite different from the earlier sections which were, as I've said, slices of life. These ancient stories were mythical, and one I was particularly struck by involved three heads (which had been parted from their bodies by a blue sword) fighting in a heated cauldron. One belonged to the king, one was the head of a 15 year old boy who had come to court to avenge his father's death, and one belonged to a mysterious dark figure who was also intent on vengeance, although why was not clear, at least to me. While the court watched in mute and patient horror, the three heads attacked each other's ears and facial features until the king's head was completely stripped and he breathed his last. At this the two other heads, apparently contented, sank to the bottom of the pot. The story ended with an interesting pathological puzzle: which skull belonged to whom? All the flesh had been stripped by the boiling and fighting; and hair colour, scarring and nose-bridge height turned out to be inadequate clues. In the end all three skulls were placed in the king's tomb together: an unsatisfactory conclusion, but a logical one. Since then I have tried to read Lust, Caution by Eileen Chang (also translated by Julia Lovell). It is written in an entirely different style, and is set in Japanese-occupied China in the 1940s. This last week I have been clearing out our loft. The past thirty years we have used it for stuff we don't actually need but can't bear to throw away: there were books, my notes from various jobs, books, notes for research projects, books, notes for books, books, holiday paraphernalia, books, more books, books. For several years I have felt that we should clear it out, and put in the recommended amount of insulation - and just at the moment the local council is offering to do this gratis so I have booked a date in the hope that this would force us to do the deed ...and we have. Every day for the past week I have been removing bags full of 'precious objects' that have not seen daylight for decades. No one has missed them, so I reasoned that no one would miss them if they were deposited in the municipal dump. Books: it is hard to throw them out. 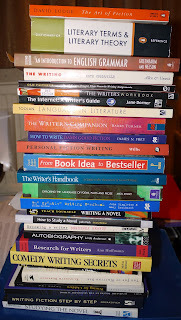 The above pile contains various books on writing and the business of getting published. Since I have never attended a course on 'Creative Writing' (except an evening class) and consequently am academically unqualified, I frequently feel I ought to try and catch up with people who have taken degrees in the subject. Consequently, I have assembled a good library of reading material (this is just a part), but unfortunately I never seem to have time to read them. 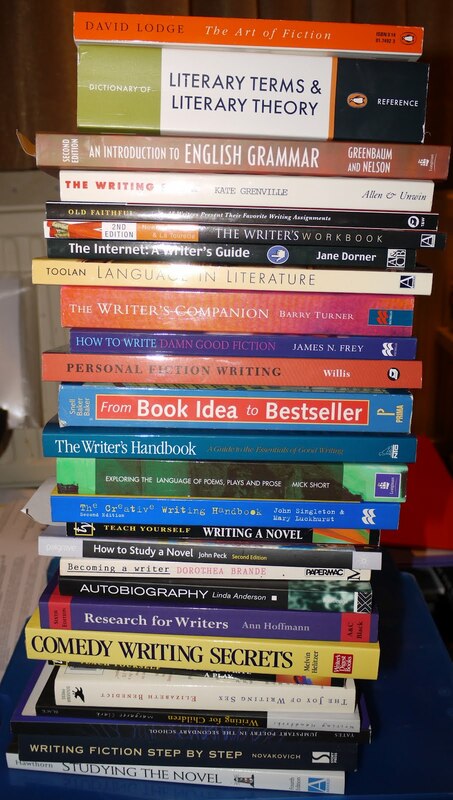 However, 2012 is my year of self-improvement - and since these are now out of the loft and within my grasp - maybe this is the ideal time to make a start. I've much enjoyed Lu Xun's earlier work (up to 1922) in this collection of his complete works. They are slices of life - reminding me of Chekov's work more than Dickens'. The complete works is arranged chronologically and I've now reached a later anthology, Hesitation, and the stories in this are much more interesting to me. The first, 'New Year's Sacrifice', concerns the life of a woman known only as Xianglin's wife. She comes to a house offered as a servant, already widowed aged about 25. Her husband, ten years her junior, has died. She thrives in her new house and works hard, particularly around the time of sacrifice. But one day her old mother-in-law (who apparently 'owns' her) organises her capture, and she is carried back to the village in the mountains where she comes from. Her earnings are taken from her and she is thrown into a bridal chair and married off to another man in a remote area. However, because she is used to another life in an educated man's household, she puts up a fight. She bashes her head against the altar, curses and swears. Eventually though, she can do nothing but acquiesce, and a year later she seems content with a new son. Later, though, she reappears at the educated man's house. Her husband has died and her son has been carried off by a wolf. Because she is perceived now to be unlucky she is taken on with apprehension, and forbidden to touch any of the sacrifice paraphernalia for fear of annoying the ancestors. This causes her distress, and she is ridiculed for endlessly repeating the story of her stupidity of allowing her child to be carried off by a wolf. Eventually someone tells her that even in the afterlife she will be punished as both her husbands will want her and they will tear her in half. To prevent this she uses all her earnings to buy a 'threshold' so that she will be trodden on by the population which will prevent future punishment. Believing herself to be purified by this, she is even more distressed when again she is prevented from having anything to do with the sacrifice. Eventually she is dismissed and becomes a beggar - which is when she is first encountered in the story. She asks the narrator, who is a frequent visitor to the educated man's house, if he knows what happens to the soul after death, and whether she is likely to encounter other people who have died. He says he doesn't know, and worries about his answer. The next day, the eve of the New Year Sacrifice, she is found dead. 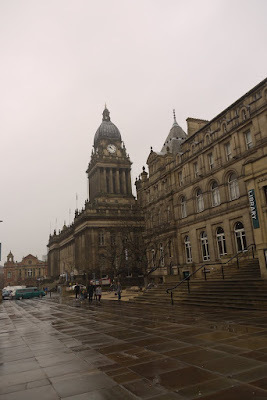 The story ends with the narrator returning to the city leaving the 'good burghers' to their new year celebrations. 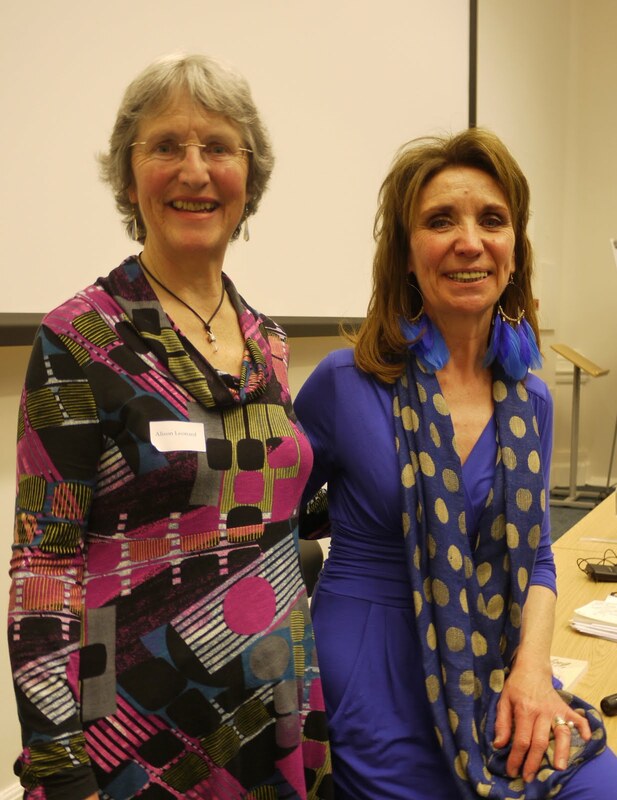 Seren Celebrates International Women's Day! My publisher, Seren, is celebrating International Women's Day with a promotion. Ten titles by women writers (including my book, A Place of Meadows and Tall Trees) are available for just £5.00 each which is cheaper than Amazon. For further details go here. 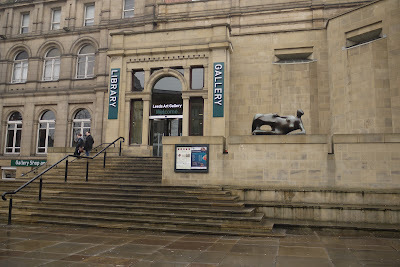 There's a great collection of poetry, fiction and non-fiction. The offer ends 8pm tonight! At the moment I am reading the complete fiction of Lu Xun. He is described as being important to Chinese Literature as Charles Dickens is to the British. I've just finished 'The Real Story of Ah-Q' and feel I am learning a lot about early twentieth century Chinese society and psyche. One of the most interesting parts of the book is his biography which is written by Julia Lovell. He was born in one of the typical mansions of the Chinese grandee, part of a clan in the old Imperial China. His family lost wealth due to two reasons: the necessity of paying bribes to ensure his grandfather's stay of execution after he had been arrested for a crime; and then the payment of practitioners of traditional Chinese medicine unsuccessfully treating the ill-health of his father. The formerly genteel Lu family became impoverished, and after failing to pass his civil service examination, Lu Xun turned from the Confucian education system to embrace Western knowledge at a college in Nanjing. Adoption of the western ways was thought by many to be a disgrace, and he was implored by a relative to change his name so as not to bring shame to the clan. The shame of becoming a 'fake foreign devil' features in his fiction, with, for instance, the wives of men who have cut off their long Confucian-style queue (or pig-tail) attempting suicide at their resulting loss of face. Lu Xun was dissatisfied with the education he received at Nanjing, and so decided to go to Japan to enroll at a medical school there: it was at this medical school that the most interesting happened. At the end of a natural science class he happened to be shown a picture of a group of Chinese people apathetically watching the beheading of a compatriot who had been arrested as a Russian spy by the Japanese. He said that the face of every Chinese watching this spectacle was 'utterly, stupidly blank'. As a result he 'no longer believed in the overwhelming importance of medical science.' No matter how healthy a people were if they were 'intellectually feeble' then 'their loss to the world through illness was no cause for regret.' His first task should therefore be to 'change their spirit; and literature and the arts.' He then abandoned his medical studies and set about curing China's spiritual ills. This is the most defiant explanation of why culture is important (and why the Arts should also be supported) that I have ever read. The unnamed narrator of Rocks in the Belly is nasty. I shall call him X. He shouts, snarls and seems to cynically use everyone who shows him kindness. He is not someone I would like to know. He is, in a word, unsympathetic. I find such characters intriguing; I want to read why X has turned out bad because, like X's mother I believe we are all born good. It becomes clear very early on that the thing that has turned X bad is, ironically, his mother. He has, in fact been Larkinised. She didn't mean to cause him harm, but she did. The narrative pull then becomes why she did what she did, and what exactly happened as a result. It's that sense of disgust you feel when you know you're approaching a car crash. You know it's wrong to gawp, but you do anyway. You join the slow moving traffic because you have to. The book is simply and compellingly written from the point of view of X at two ages: as a 28 year visiting his dying mother, and at 8 when the dreadful thing happened. Both are convincing. The 28 year old is complex, twisted and still hung up at what the 8 year old did. The wonderfully ironic thing is that what that 8 year old did is really not all that bad at all except in his own mind. It is this that makes the novel work: 'badness' turns out to be as indeterminate as beauty: purely in the eye of the beholder. That, to me, was the point. Thanks to Serpent's Tail for sending me this excellent debut novel.